The mexican street food is one of the many good things with this country :). It's very good, very cheap and there are places everywhere that are open late. 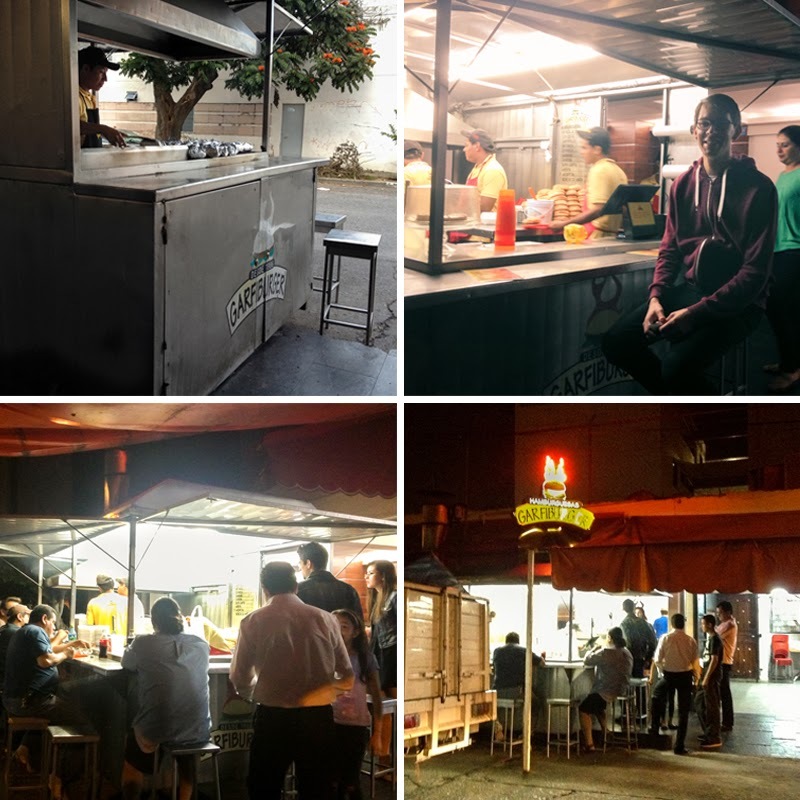 Even in the smallest village you will find a simple street food stand that are open almost all night long. 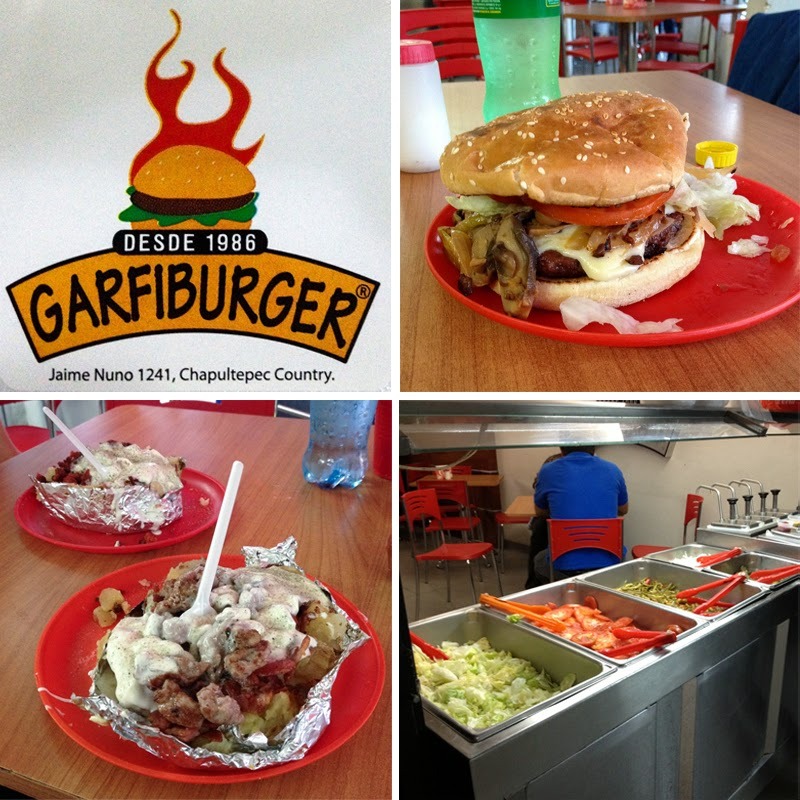 One of our favorite take out places to go to when we don't feel like making food at home is Garfiburger. It's really close to our home so we go here at least once a week and usually we order their specialty, baked potato with stuffing :). It's so cheap to eat take out food here so it's hard to motivate you to make food at home :S.
The baked potato comes with butter, sour cream and bacon, but then you can add extra topping and choose from chorizo, mushrooms, shrimps, beef and some other things I don't remember at the moment. It's the same with the burger, you can add all kinds of filling and then they have a salad bar where you can choose from lettuce, onion, tomatoes, jalapeños and pickled cucumbers. We will miss this place when we go home! Upper right side: A burger with mushrooms, bacon and cheese. Down from left: the baked potato with filling and the salad bar. The place is popular so during night time there's always people there.